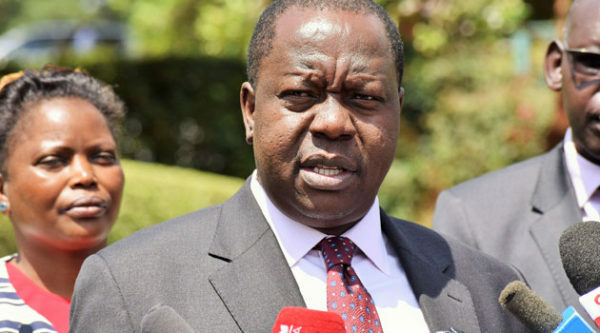 Tuesday April 16, 2019- Interior Cabinet Secretary, Fred Matiangi, has finally spoken about the withdrawal of security detail of some of Central Kenya politicians associated with Deputy President William Ruto’s Presidential bid in 2022. Among the politicians that their security were withdrawn includes Kiambu Governor Ferdinand Waititu, Nakuru Senator Susan Kihika, Kikuyu MP Kimani Ichung'wa , Kandara MP, Alice Wahome and Bahati MP , Kimani Ngunjiri. "Everyone wants a bodyguard and as a government we cannot afford and we have to face the reality and live with what we can afford," Matiangi said. Uh uh?! MMmmmm.... no comment.